The decision to adopt a cat is a serious one, but it’s so easy to stop thinking and let your heart take over! A stray shows up on your doorstep and you know you just need to give him a forever home. A friend’s cat has kittens and those little fluffballs just do something to do you! Or you drop off a donation at the local shelter and a slinky kitty brushes up against your leg and gives you a look that just captures your heart. If you love cats, you may find that it’s all too easy to open your heart and your home to them. And as amazing as a cat or two (and sometimes more) can be, there is a point where you can have too much of a good thing. Have you ever wondered how many cats is too many cats? When does being crazy about cats turn into being a crazy cat lady (or a crazy cat guy)? There’s no magic number or secret formula for figuring out how many cats a person should adopt (although if you’re approaching double digits, we need to talk). The answer will be different depending on your unique situation. 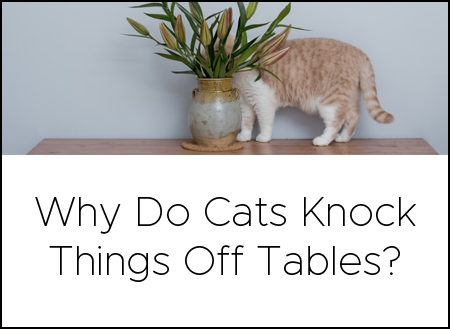 When it comes to determining if you’re taking on too many cats, there are a few questions you should answer. In order to be happy and healthy, cats need time and attention from their humans! Of course, there’s the time spent taking care of their physical needs like keeping food and water bowls full (and clean!). And don’t forget litter box duty! The more kitties that live in your house, the more frequently you’ll have to clean out their boxes. Too many cats means you could find yourself living in an environment that isn’t healthy for humans or cats. Keeping them fed and their boxes clean is important, but, even in a multi-cat family, cats need interaction with people. The more cats you have, the more time you’ll want to set aside for playing, grooming, and snuggling. This is important for bonding, and it will also help you notice any subtle physical or behavior changes that could mean kitty is having some health issues. If you find that you don’t have much time left after caring for the cats you already have, you’re probably already at your limit. They may be small, but cats can be expensive! There are regular costs like cat food and litter, of course, but you’ll probably want to keep them supplied with cozy beds and things like toys, scratching posts, and cat trees to keep them entertained. The more cats you have, the more you’ll spend. You’ll also want to be prepared to care for your feline family’s health by scheduling an annual wellness visit (or bi-annual for cats age 7+), for each feline in your care. And, even with the best preventative care, medical issues and emergencies can and do happen. Are you prepared to handle the cost of an unexpected vet visit? If not, consider pet insurance. I have Petplan policies for both of my cats, Olivia and Turtle. This gives me peace of mind that if a medical emergency occurs, I’ll be able to get them the best medical care. Even if you have the necessary time and money, there are still other things to consider when determining the right size for your feline family. Do you share a home with other humans? What are their feelings on additional cats? Everyone should be on board with every addition to the family. And don’t forget the kitties you already have! Not all cats take well to newcomers. Some will adjust after an initial period of raised fur and hissing. Others may get their whiskers permanently bent out of shape! It’s important to take your kitties’ personalities into account. For additional reading on this, check out Cat vs. Cat by feline behavior expert, Pamela Johnson-Bennett. Are there legal restrictions where you live? Some towns place limits on the number of cats that residents are allow to have, so if your cat family could grow to be larger than one or two kitties, it’s a good idea to check to see if there are any limitations where you live. Some homeowners’ associations also have rules that govern the number of animals that are allowed. By these standards, “too many cats” is simply the point where you can no longer care for them effectively, when they become a nuisance or a hazard to those around them, or when they exceed certain legal limits. For some people, even one or two kitties could be too many. And then there are some cat parents who somehow manage to meet the needs of five cats. Maybe more. No matter how many felines are right for your family, sharing your life with them can add an amazing amount of joy and laughter if you do it the right way. The decision to adopt should always be made with a level head. Once it’s been made you can be sure that your purring friends will steal your heart in no time!